Lidl is splitting its UK media account and has launched a review for an agency to handle the planning side of the business, putting incumbent Starcom on alert. The Publicis Groupe agency will continue to handle Lidl’s media buying following a closed review, but challenger agencies have been invited to pitch for media planning. Omnicom's OMD UK and indie agency Goodstuff Communications are among the shops competing for the business, as well as Starcom. If Lidl chose to move the planning away from Starcom it would be an unusual move as the grocer is believed to be keen to take a more strategic approach to its communications. While most media accounts are handled by a single agency, Mars uses MediaCom for global planning while Zenith handles the UK buying business. Meanwhile, Unilever used to keep global comms planning separate from media buying but consolidated duties into Mindshare last year and dropped PHD without a review. Starcom won Lidl’s £70m media account in 2015 after a pitch including five agencies including incumbent M2M. Lidl recorded a UK market share of 5.3% – its highest yet – for the first 12 weeks of 2018 amid further competition in the supermarket sector. Its German discounter rival Aldi, meanwhile, recorded a 7.3% UK market share, with Tesco retaining the lead on 27.6%. Asda and Sainsbury's, meanwhile, announced in April they would create a combined business that would overtake Tesco while operating a "dual brand strategy". TBWA\London handles Lidl's creative account. 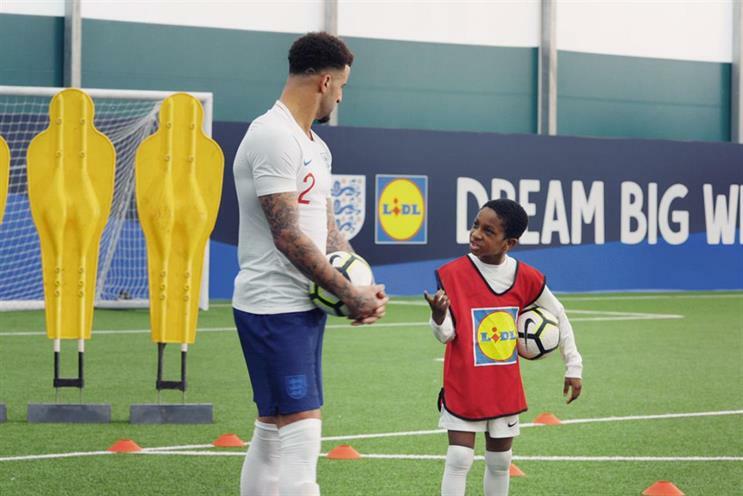 Last month the agency created ads for the "Dream big with Lidl" campaign that celebrates the brand's three-year partnership with the England football team ahead of the upcoming Fifa World Cup. A Lidl spokesman said: "We regularly review our agency arrangements to ensure that we are continually delivering best-in-class marketing." None of the agencies mentioned in the story would comment. Editor's note: This story was updated at 8am on 5 June to include Lidl's comment.